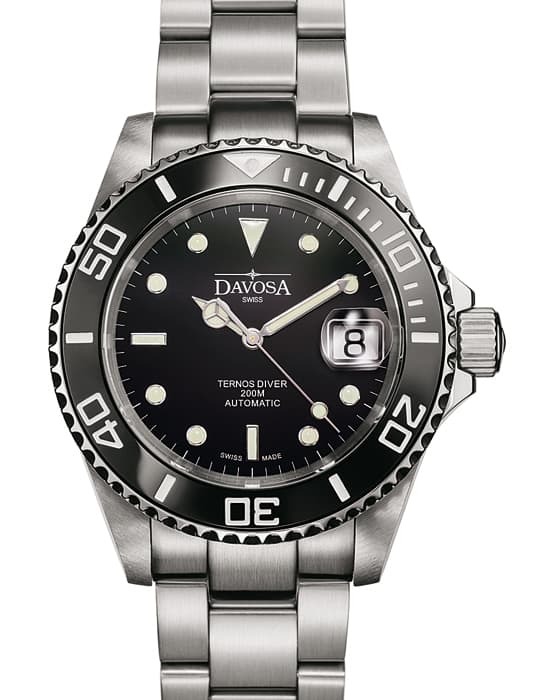 Entry-level watches are über popular. Why? 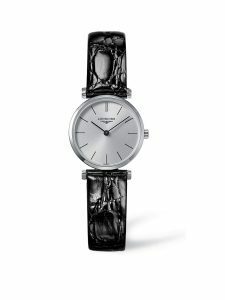 Because of the ever-increasing prices of some brands, a lot of watch enthusiasts search for affordable (luxury) watches. Watches that they can wear on an everyday basis. We’ve put together a Top 25 of watches below € 1000 Euro (list price) based on demand. 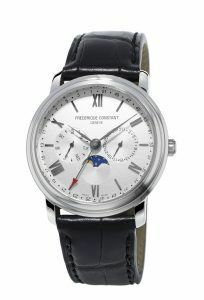 In this price segment it is definitely possible to buy a watch with an individual or even unique design, solid and well-finished case and small complications. 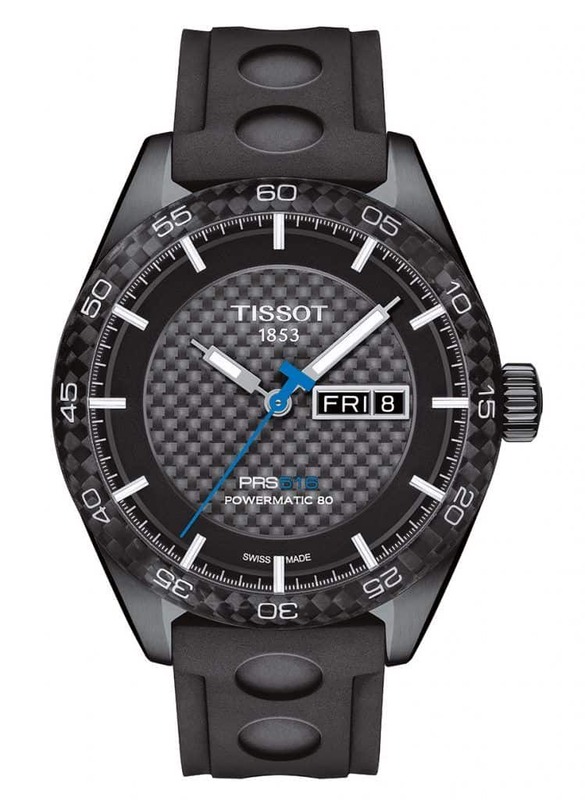 We asked ourselves which watches under 1000 Euro have the high demand from the watch consumer. With the help of Chrono24 we focused on the on-line consumers from Switzerland, Austria and Germany and their demand for mechanical and quartz watches up to 1000 Euro. The Top 25 watches overview below is based on millions of consumers in Q2 2016 from these countries. 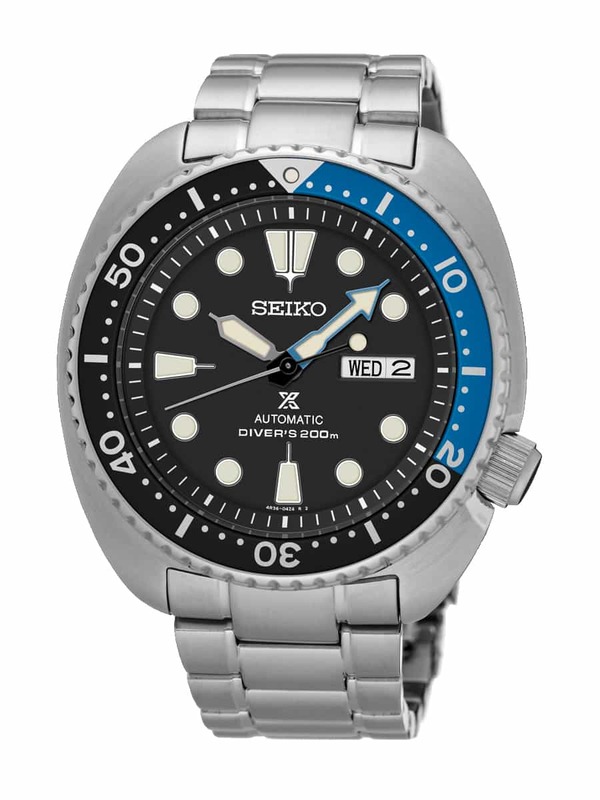 On the first position we find the Prospex divers watch from Seiko. This manufacture from Japan is most famous for the excellent price-quality ratio they are able to deliver. Their SRP787K1 has a list price (in Europe) of 439 Euro and brings an awful lot of bank for the buck: the automatic caliber 4R36 movement featuring a day and date, a water resistance of 20 bar, uni-directional bezel and a very legible dial due to the luminous markers and hands. The Formula 1 watch shows TAG Heuer’s connection with motor sports. Just recently, they introduced a special edition of this watch for Red Bull – TAG Heuer driver Max Verstappen. 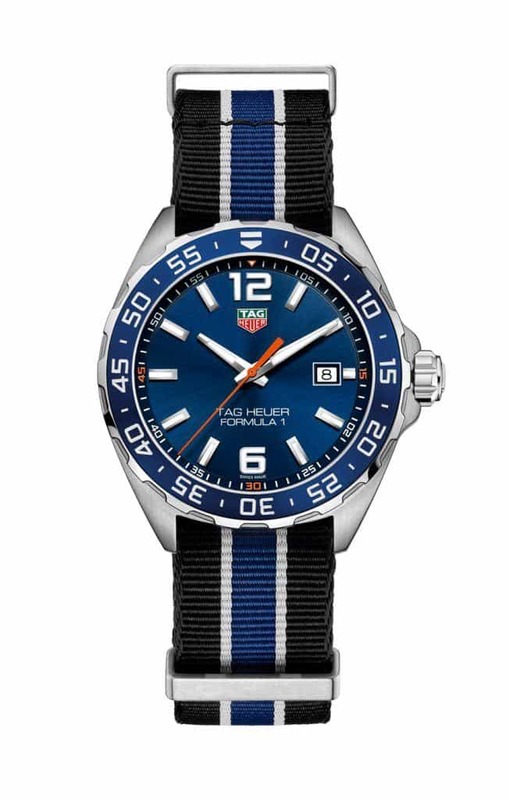 However, this model is the blue bezel version with stainless steel case. This Formula 1 is priced at 995 Euro, just below our 1000 Euro. 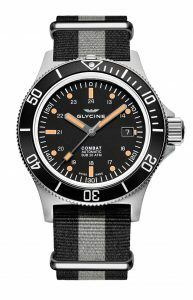 The watch measures 43mm in diameter, is water resistant to 20 bar and has a Ronda-based quartz movement. A 42mm watch using a carbon bezel and a black PVD steel case. A day and date complication are functions of its ETA caliber C07.111 movement, as well as a power reserve of 80 hours. The movement is visible through the sapphire caseback. Priced at 890 Euro. 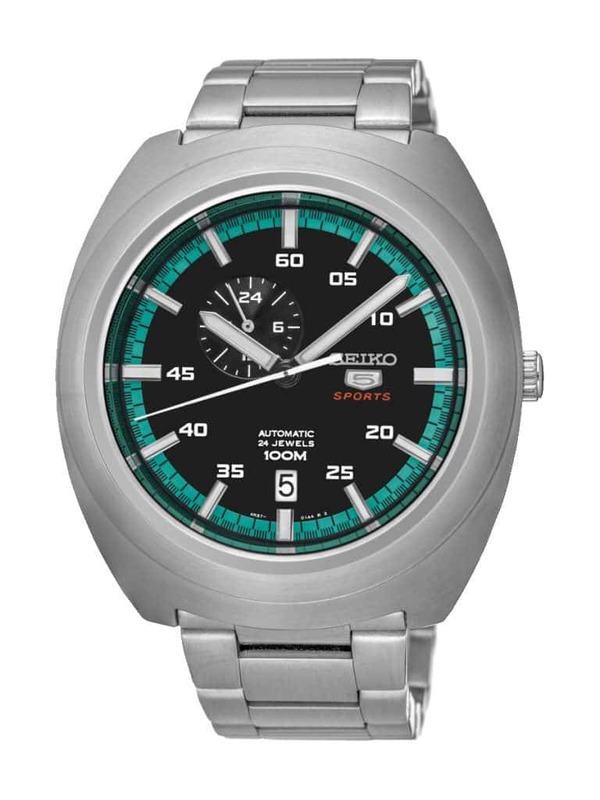 Another Seiko, this time it is a model from their 5 collection. 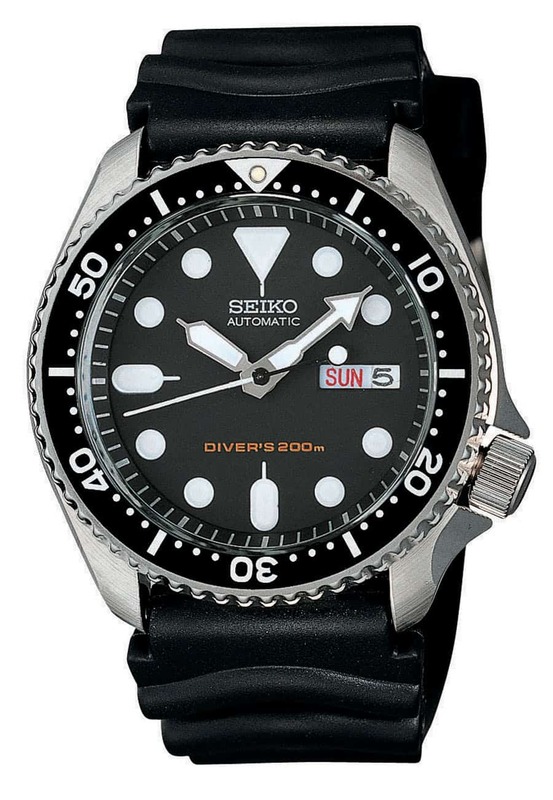 The Seiko 5 collection goes all the way back to 1936 and is still one of the most popular collection of the brand. 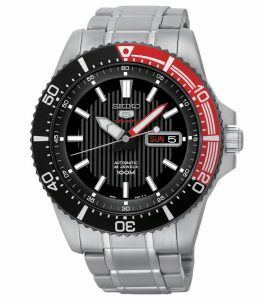 This automatic model has a 24 hour indicator and comes on a stainless steel bracelet. Priced at 359 Euro. 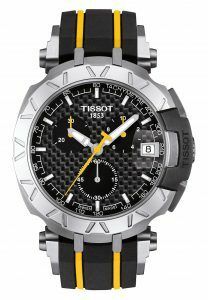 Ranked 5 in our Top 25 watches under 1000 Euro is this 44mm chronograph from Tissot with an ETA C01.211 movement. 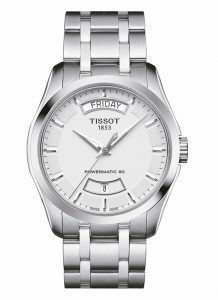 This Tissot PRC200 has a stainless steel case, bracelet and is priced at 930 Euro. 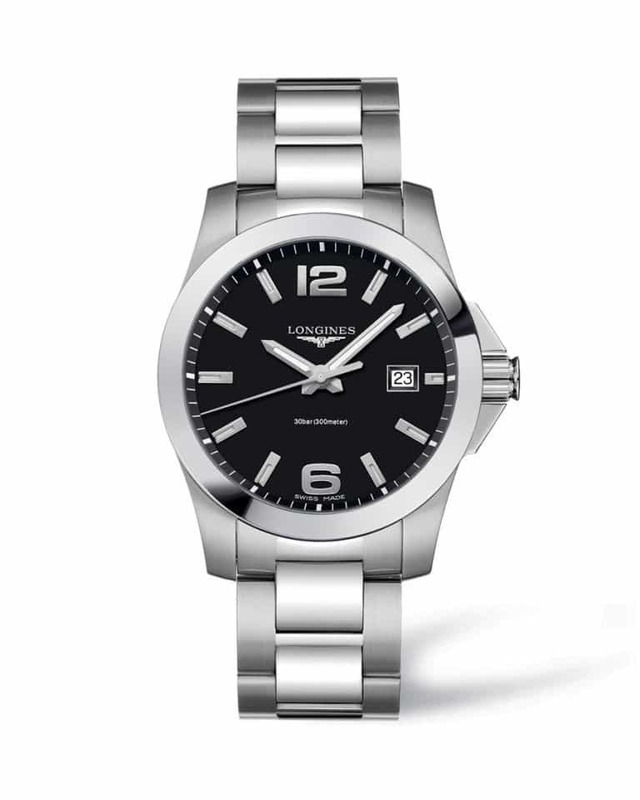 Another Swatch Group company on the 6h position: the Longines Conquest reference L3.659.4.58.6. The Conquest line-up is already in the Longines collection since 1954. 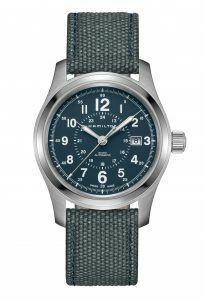 We covered it often, like this article about the Conquest Heritage watch that actually commemorated the 1954 – 2014 period of Conquest watches. 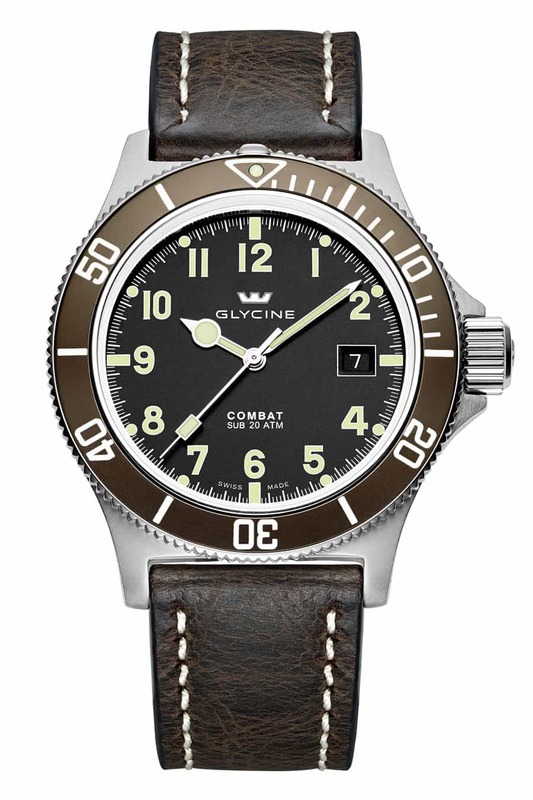 This Conquest is a sporty edition of the collection, with a 41mm case. This particular model is powered by an ETA quartz movement. Water resistant to 30 bar. Price is 650 Euro. Yes, a Casio! Remember our big interview with Mr. G-Shock himself? 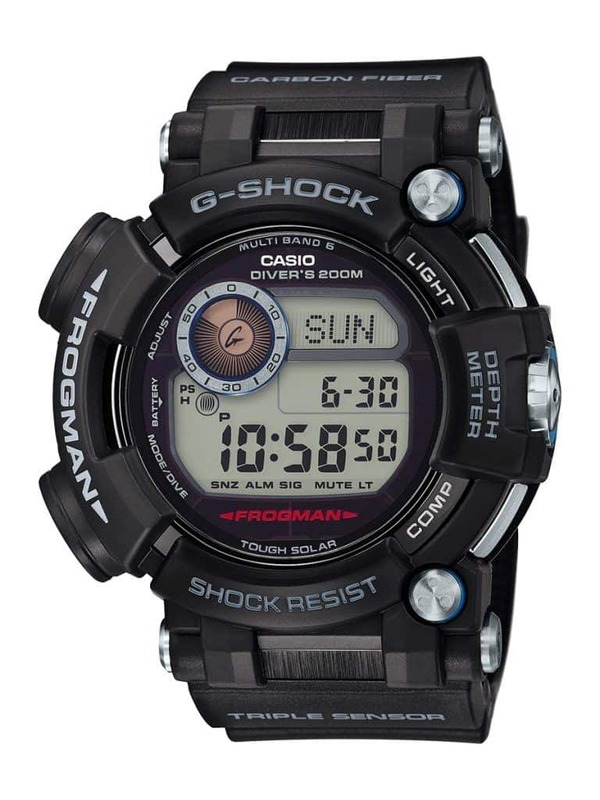 We love G-Shocks and the Frogman is no exception. It seems that a lot of people love it, with this 7th position in the Top 10 watches under 1000 Euro. This GWF-D1000 retails for 999 Euro and is capable of showing the tides, depth indicator, compass, etc. and has a diving computer on board.Water resistant to 200 meters. 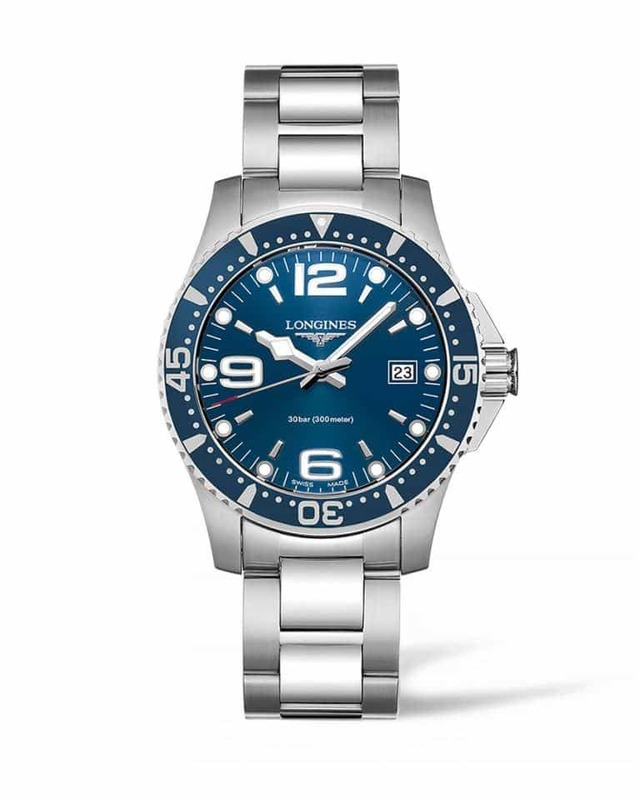 Another diving watch, and another Longines in this Top 25 watches under 1000 Euro. 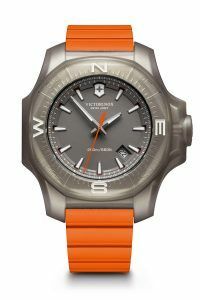 The HydroConquest reference L3.740.4.96.6, priced at 830 Euro. 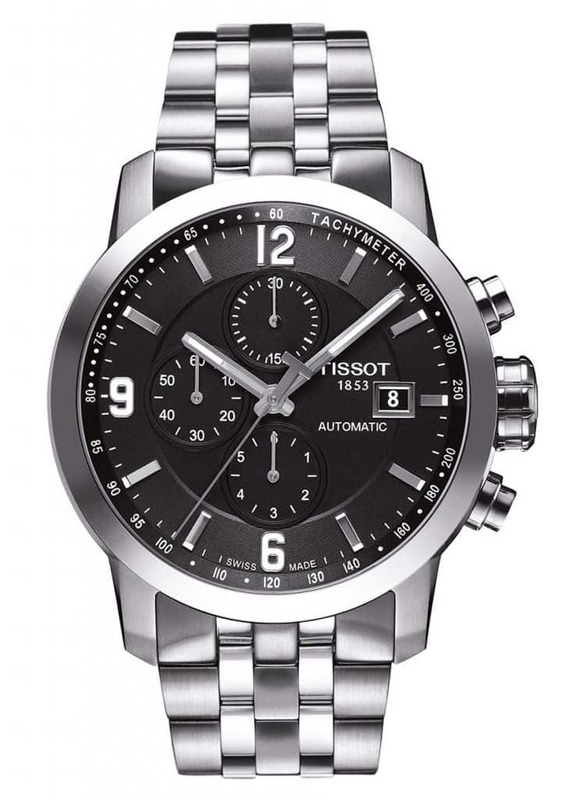 This 44mm watch in stainless steel comes with a quartz ETA caliber E64.111 movement. 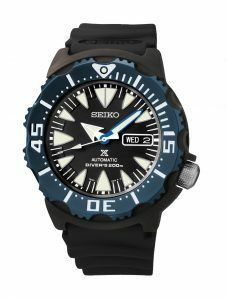 It is water resistant to 30 bar and has a uni-directional diving bezel. 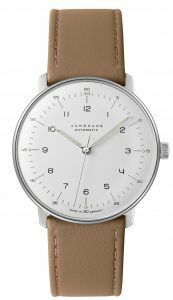 Our review of its automatic brother can be found here. 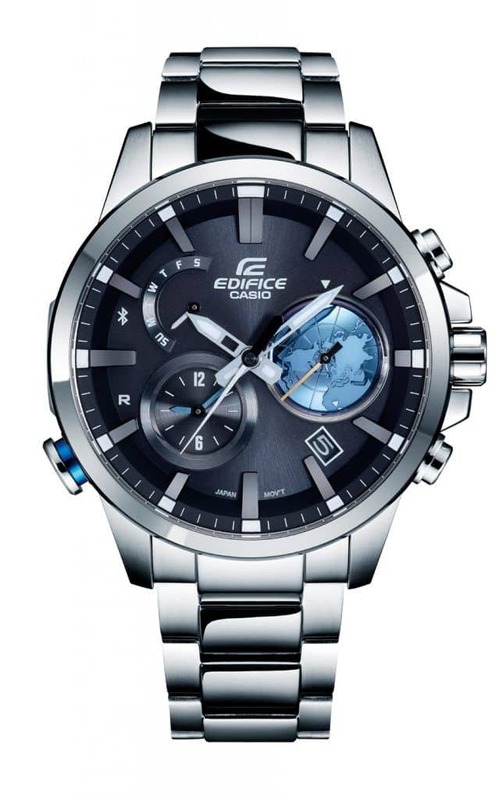 The only connected watch in our Top 10, the Casio Edifice EQB-600D (Apple only sells directly, which we couldn’t measure). This Casio communicates with your smartphone and has a 3D globe positioned at 3 o’clock. This globe is connected to a worldtimer function and makes a full turn in 24 hours. You need a dedicated Casio app on your phone to communicate with your watch. Priced at 399 Euro. On no. 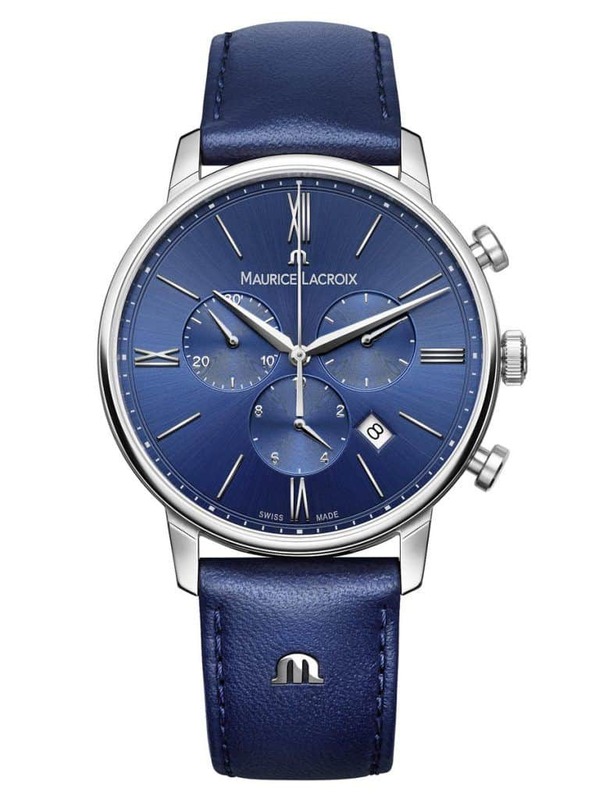 10 of our Top 25 watches under 1000 Euro we have this Maurice Lacroix. It has become a bit silent around this brand, but there still seems to be demand for them in the category below 1000 Euro. This Eliros is powered by a quartz movement and has a 40mm diameter case. The typical ‘M’ on the leather strap is back from the past, after years of absence it has been brought back. Besides the Top 10 above, we will show you the other 15 positions of our Top 25 watches under 1000 Euro. 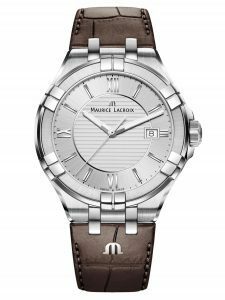 Again, Seiko, Tissot, Longines and Maurice Lacroix are popping up in these additional 15 positions. 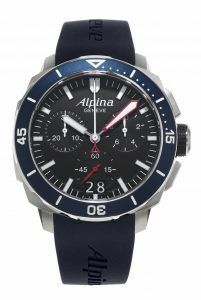 Other manufacturers that appear are Glycine, Junghans, Victorinox, Technomarine, Frédérique Constant and Alpina. 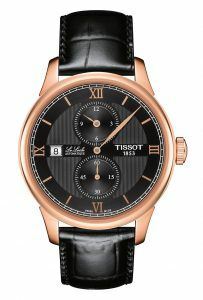 9 spots in total are given to Swatch Group brands Certain, Tissot and Longines. 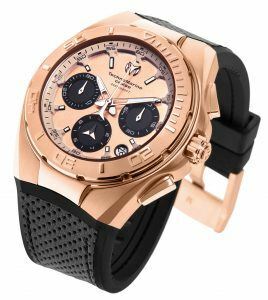 Swatch Group is a strong player in this price range. 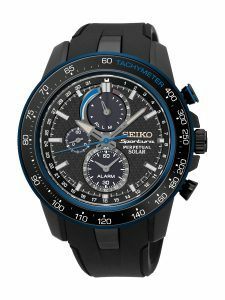 Seiko is as well, with 5 models in our Top 25 watches under 1000 Euro. This article was written by Melanie Feist and appeared on the German based WatchTime.net first. *This article first appeared on Fratello Watches in May 2015. We then used data from Q1 2015. This article is updated on a regular basis. Currently, Chrono24 search data from Q2 2016 is used for the results in this article.